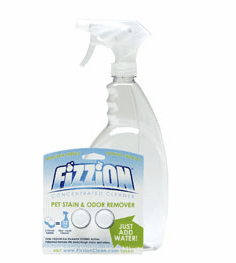 FiZZiON Concentrated Cleaner, Carpet Stain Remover, Pet Stain FiZZiON Concentrated Cleaner order Bottle or two pack of tablets from $8.98 (shipping included) Ordinary stain cleaners sit on a shelf and lose their cleaning power. 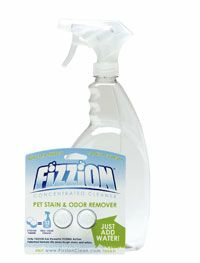 New FiZZiON Concentrated Cleaner mixes up fresh each time you use it to provide maximum stain cleaning power. 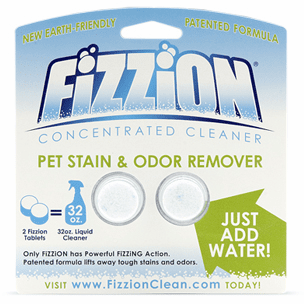 Just drop one FiZZiON tablet into a bottle of warm tap water and let it ‘fizz.’ Then apply to your tough stains and watch its patented fizzing action clean the stain and eliminate odors. 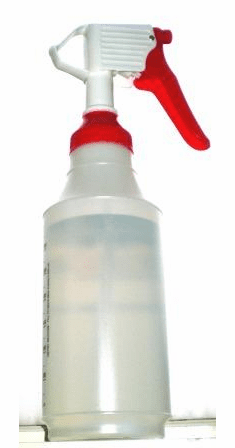 Empty Spray Bottle 32 oz Free shipping. 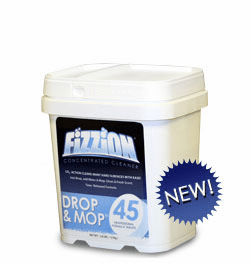 Product Description New FiZZiON Concentrated Cleaner mixes up fresh each time you use it to provide maximum stain cleaning power. Just drop one FiZZiON tablet into a bottle of warm tap water and let it ‘fizz.’.